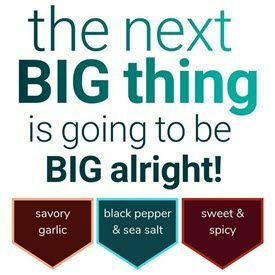 Jerky Reviews for the distributor Longview Meat & Merchandise Ltd. 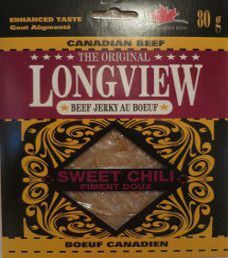 In searching for Canadian beef jerky makers that sell online, it was common to see references for Longview beef jerky. So in 2011, I ordered this 2.8 ounce/80 gram bag of sweet chili flavored beef jerky.